My child’s time at AIS so far has been not only a stepping stone, but a confident leap into the social world outside his family. From an early stage he seemed to bond with other students and became very fond of all the staff there. There have been no concerns or issues for myself, and I feel confident that any learning or interaction issues my son may face, the staff are equipped with the knowledge and experience to adapt. The stories told by my child and the regular updates from AIS personnel give assurance that my son is at the right place in this important time of his life. Abroad helped us in our adaptation to Japan life! I came in Japan with a French little girl who could understand English a little. I’m very happy that I had found Abroad International School because it helped both of us in our adaptation to Japan life. Now, after only 4 months, my girl can speak in English and understand it quite well. She found new friends and I did too. 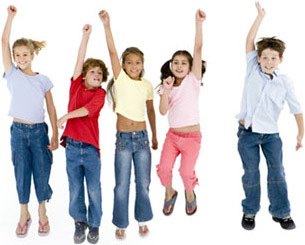 Abroad International School is a place where children can learn a lot while enjoying themselves. With songs, games, and happiness, they are taking good care of them. At AIS, I can see my child as a happy, confident and open minded individual! As a parent, I appreciate and value all that Abroad International School has to offer. Children as young as a year-old are given a well-rounded education. I can see and feel my child grow socially, as well as emotionally and physically. I feel this simple start to my child’s education reinforces the type of international person I want my child to become. The bond that my child forms with each staff is an individual and unique as the bond she has with my husband and I. The variety of staff members has become a pivotal factor as my child moves up to the next class and her abilities improve and curiosity increases. At AIS, I can see my child as a happy, confident and open-minded individual. Both our children attend Abroad International School and enjoy going to school each day. My 2yr old has learnt many important aspects of social interaction and development of fine motor skills and loves going to the park with her classmates. My 4yr is learning how to read and write and enjoys ‘show and tell’ each week. He has been with the school for a couple of years now and broadened his knowledge in many areas, as well as making good friends. I think that Abroad International School provides the kids with a good balance of work and play activities, as well as stability, which is very important to us as an expat family. After we came back to Nagoya from Los Angeles, California, our home in the US in 2009, we were wondering which preschool we should have our 3 year-old son to attend. Our long wish list was as follows: 1. English speaking Preschool 2. close to our home 3. native English speaking teachers 4. teach him as many things as he can learn 5. give him enough physical exercise 6. teach him basic manners Abroad International School Nagoya satisfies us with all the above wishes and plus. Teachers are not just nice and down to earth but also easy to talk to. Even though we have very irregular schedules with our kids with 3 different homes in three different countries, Abroad Nagoya School was nice enough to listen to us and accommodate our schedule for our kid with kindness. Thank you very much for everything you have done for us. I believe this school will get bigger and bigger and especially after moving to a new building, it will be more famous and become one of the best preschools in Japan.